Please email Richard with your details and when it suits you for a visit. He will contact you back either by return email or your supplied contact number. Don’t forget to include your address. Visits are very important to double check your house / flat has space for a loft conversion. For a FREE estimate please email Richard through this contact form to organise a suitable time to pop round. How long does a take to build a loft conversion? It depends on the size of your house. If it were an average, 3 bedroom terraced house, having a Dormer loft conversion including a master bedroom and with an en-suite bathroom, this would take between 6 to 8 weeks to build. When changes are made to the initial design or specialist windows with a longer order time can add to this build time. Loft conversion built by Jackson Lofts Brighton in Lewes, East Sussex on a 1930s semi detached house. Building a loft in the winter is just the same as building in the summer. Winter is better for less noise annoyance to neighbours. We work during school holidays too. For a free estimate please email Richard through the contact form page to arrange a suitable time to visit. 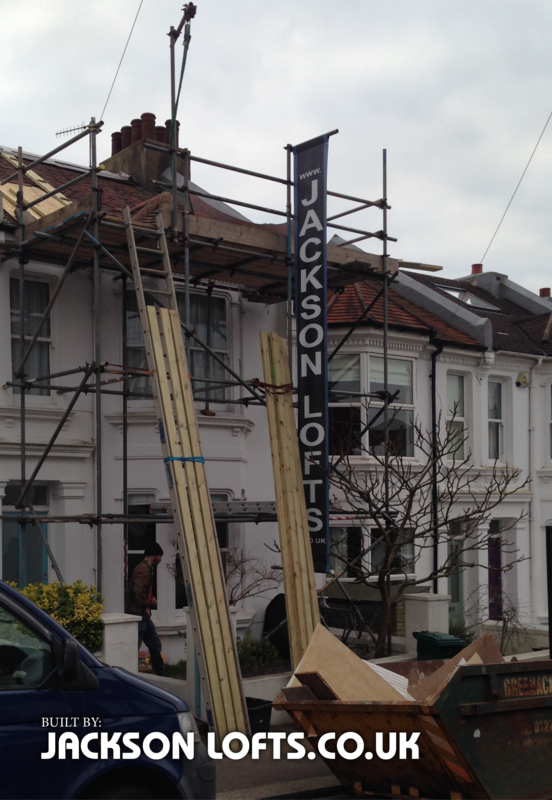 How long does a loft conversion take Brighton? Richard personally builds all his loft conversion projects himself, with the help of a labour and other personally selected professional trades. Using local electrician, plaster, roofer, metal worker and staircase maker. These are decisions to be made about your new loft conversion staircase. 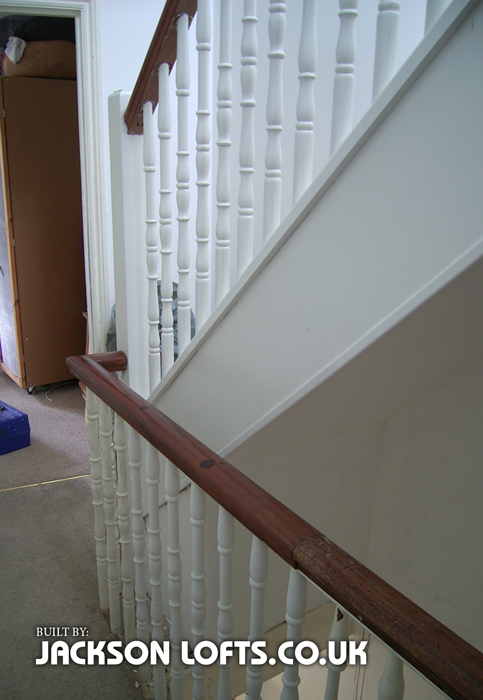 Most spindles and handrails can be matched off the shelve others can be made to match. 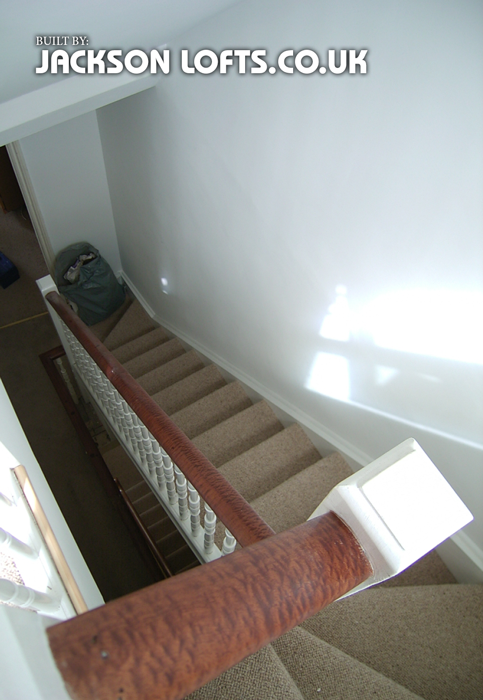 Making a staircase match the existing features helps bring it all together beautifully.